Ummm yes please! They look so cute and comfy I just want to put on some skinny jeans and pray for the 70 degree weather to get here! Now being that these are around $350, my thoughts are that The Hubs will tell me fat chance! 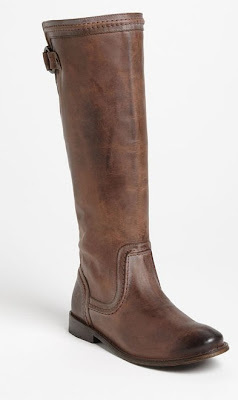 Confession, I've never owned a pair of riding boots before. WHAT?!? Yup, wierdo I know. But that shall change this Fall I predict! (It better!) These are so adorable and only around $180! Plus I'm a huge Aldo fan! Love their heels too! !